Virtual Floppy Drive with Windows 7 ? Really bad, it's difficult to manage. I've needed to test floppy disk tools with my modern i7 equipped PC. Unfortunately I have no real floppy drive built in. So I "googled" for it, and I found one, which runs supposedly smooth with Windows 7 64bit. Try to install an 1.2MB or even a 360KB disk drive, go into command line, and try to format this new virtual drive with "FORMAT A: /T:80 /N:15" or "FORMAT A: /T:40 /N:9". The result ? 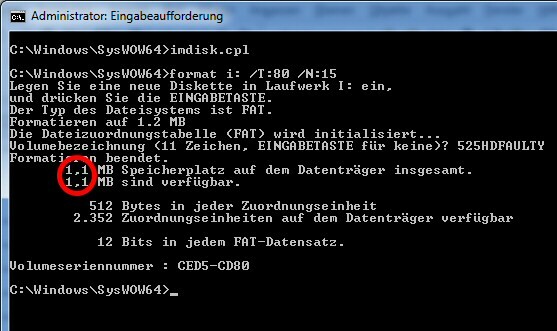 Always missing bytes, proof it with CHKDSK, e.g. formatting a 1.2MB disk results in 1.1MB total capacity. But this project is not supported anymore, if using 64bit Vista or Windows 7, you will fail to install the driver, even with "Administrator" rights. I've looked for dsao13b.exe / dsao13b.zip - a tool for driver developer. I started dsao13b, selected "Test Mode" (which allows to run non microsoft signed drivers), signed vfd.sys, and then started vfdwin with Administrator rights. 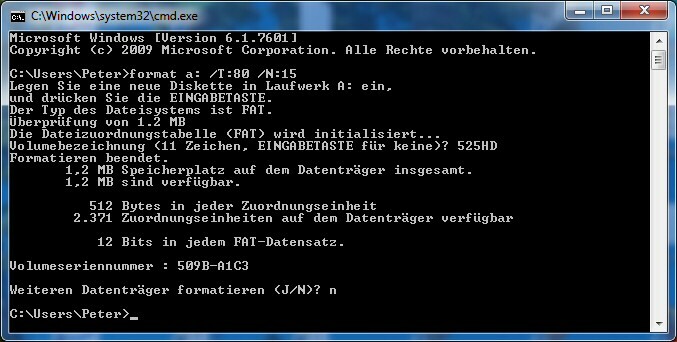 That worked, I was able to format a virtual 1.2MB floppy disk running Windows 7 command line, see screenshot. P.S. : You should change it back disallowing unsigned drivers to be working, if you do not need to use that driver. Otherwise you opened a new possible door for malware. 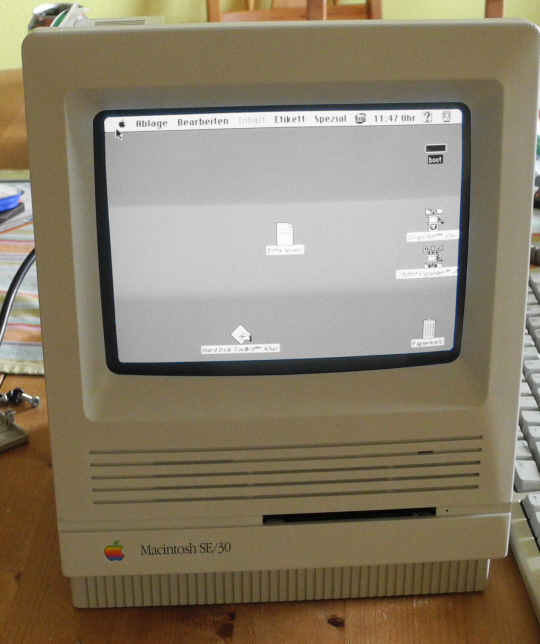 I realized that I didn't made anything meaningful with my Apple ][ Europlus, so I decided to exchange it for another vintage computer - an older Macintosh. 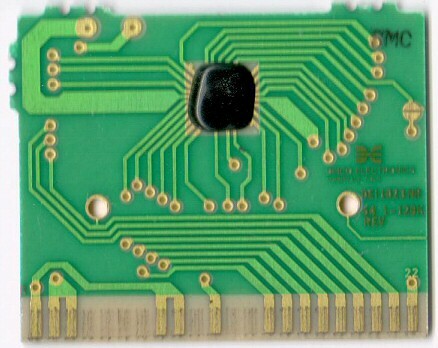 A serious flaw of this model (SE/30) is an unreliable firmware ROM module/SIMM. 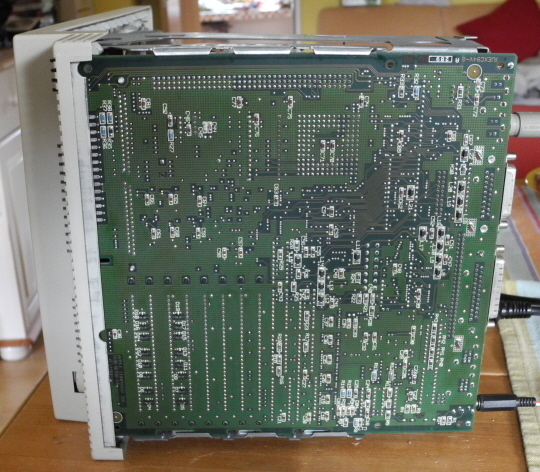 But to get the logic board in your hands, you had to follow a strange method of releasing the board itself from the frame. 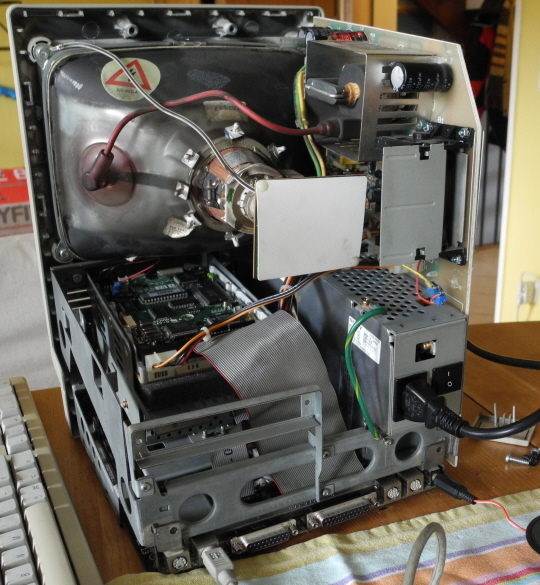 First you have to draw it a bit, but then you have to lift it on one side, to pull it in all - but SCSI, loudspeaker and floppy drive cable are still connected and will keep it in place. Very ugly. After discovering that no sound is made from this macintosh, and because the ROM module makes often trouble, I decided to bring it back and take a Colour Macintosh (will be described in next blog entry). 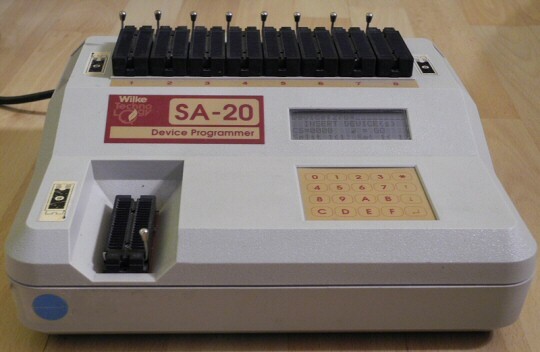 I buyed an old but autonomous working Eprom Burner, a Needham's SA-20 (Wilke Technology), and I hoped to work with it connected to my modern PC (which has a COM1 interface). 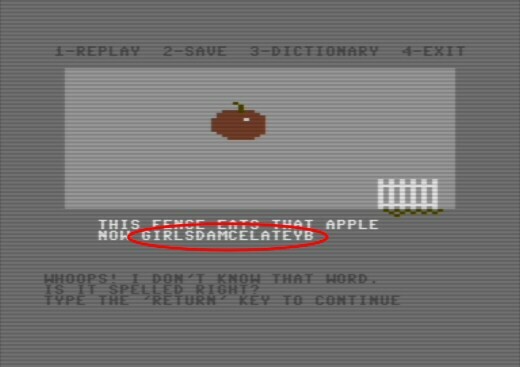 Unfortunately only a DOS program exists so far for it (but there is hope, source code of that DOS program is included). So I decided to give it a chance by using VMWare Player with installed Windows 98 SE. I tried also pure DOS mode. But it worked only partly and slow. 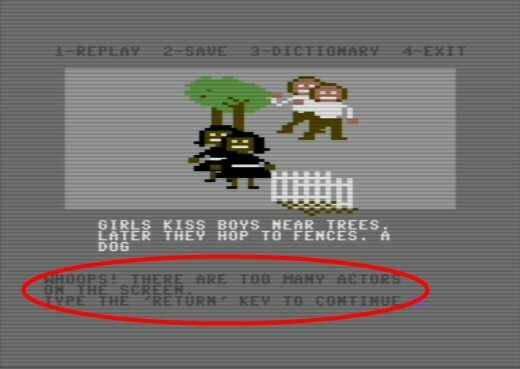 It seemed my key strokes were eaten somewhere, or another reason exists for a painful slow remote PC control via serial interface (115K baud,N,8,1 - that's fast enough usually). Trying to use it with a Intel 486 driven Siemens Notebook and DOS from Windows 95B worked like a charm. But look at this beauty. It can copy 8 EPROMs at once ! If someone has an explanation for that strange serial interface behaviour, I would really please you to share your knowledge. Serial port setup in VMWare used "host device" mode. I found also a very helpful site describing made expirience with a parallel port connection, so I tried only using it via serial interface. First I realized that the power supply was dead. Due to the fact, that these power supply cases were glued, not fixed with screws, I did not tried to open it (to repair it). So I cutted the very rare foursquared power connector, and created an "power connector adapter", also because I did not planned to modify my Plus 4 (exchange the connector inside the computer). I got only a black screen at channel 36 (UHF) when powered on. 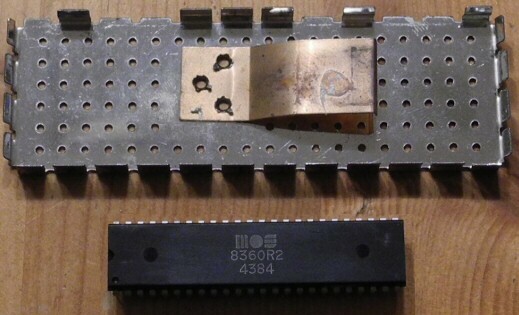 It seemed that the video controller chip 8360, aka TED, was dead (also very rare unfortunately). So I buyed another Plus 4 on Ebay, also partly not working. The second one showed the BASIC free message at the beginning, but crashed early after typing in some BASIC commands. This can be related with defective RAM chips (4164). But it was easier to exchange the working TED video controller, so my first Plus 4 was working again without any problems. You have to use Thermal Compound for Cooler in the mid, but to fix it, you have to use "super glue" at the edges. 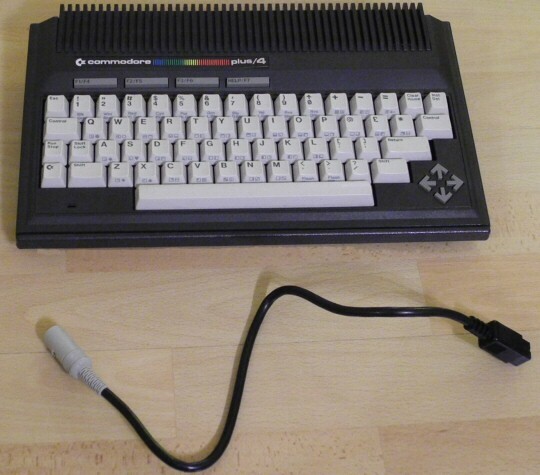 I am always looking to complete my cartridge collection for my C64. 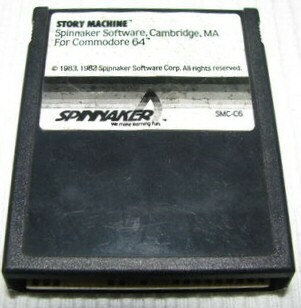 Now I've obtained a cartridge named "Story Machine". Regardless of the poor presentation and functionality, I thought it should work as designed, at least you should save your work to disk and load it later again. Up to this point, I was not really impressed, but I thought, it's a rare cartridge, so who cares. 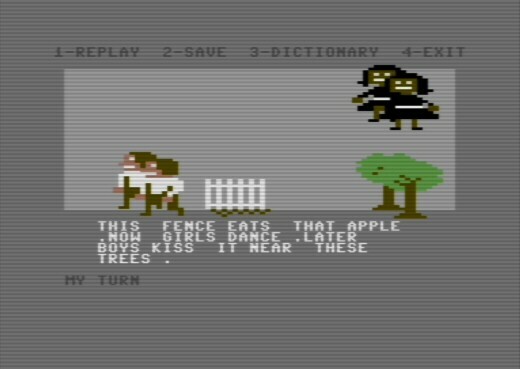 Then I saved the created "story" to disk and I tried to load it again. Tested on VICE 2.22 also, with JiffyDOS Kernal and JiffyDOS C1541 ROM. Does it work better without JiffyDOS ? All errors will appear only, if you save your work and later try to reload it. If you do not save the story, but don't power off, you will be able to replay it. You can grab the cartridge file >here<.